Wouldn’t it be convenient if you could get Gmail’s smart inbox management features for your non-Gmail accounts? Google thought so, too. That’s why it’s now allowing you to “Gmailify” your Yahoo, Hotmail, and Outlook accounts on Android 4.4 and above. 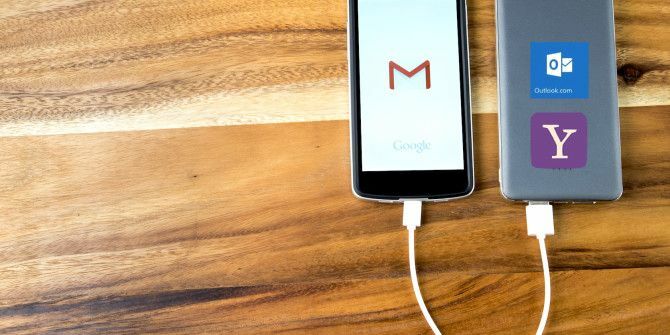 You’ll first have to get the latest version of Gmail on your Android device. Once you do, open the Gmail app and under Settings, tap on the supported non-Gmail account that you would like to use. Now tap on Link Account. Once you link your Yahoo/Hotmail/Outlook account, you get the power of the best Gmail features including inbox sorting, advanced search, spam protection, and Google Now cards for it. That’s not all. The changes show up in Gmail’s web interface as well. “Gmailify” is a great way for Google to get the data from the email it does not host. Unlinking the account is as simple as going back to Settings in the Android app, selecting the right account, and tapping on Unlink. You can choose to keep the imported emails in your Gmail inbox or delete them without losing them from the original account. If you would like to set up a non-Gmail account first, click on Add account instead of Link Account and follow the onscreen instructions to set up the account just as you would in any other email client. Here are the right server details Setting Up An Email Client? Here Is Mail Server Info For The 3 Biggest Email Providers Setting Up An Email Client? Here Is Mail Server Info For The 3 Biggest Email Providers Do you still use any desktop email clients? The last one that I ever made any significant use of was Outlook Express, and that feels like forever ago. Since then, I've given both Thunderbird and... Read More to help you. What do you think of this new feature in Gmail? Will you take advantage of it? Or will you let this one pass due to privacy concerns? Tell us in the comments! Ive been using this feature fo0r months, really handy.